As a card-carrying member of the Little Lebowski Urban Achievers, I’m in whenever there’s an event that mixes The Dude and White Russians. This is why I’m totally geeking out over this new short film featuring Jeff Bridges telling a twisted tale while lounging in a smoky jazz bar nursing his favorite beverage. The new micro-movie, titled The White Russian, was commissioned by the folks at Kahlúa and features Bridges recounting a tale wherein a younger version of himself finds a buried briefcase in the Mexican desert. Soon, he’s run afoul of some local gangsters, who are hot on his tail, only to be saved by a Russian cosmonaut who falls from the sky at the most opportune of moments. Bridges, looking very Dude, turns up in the second half – and if you love The Big Lebowski even half as much as I do, that moment’s going to give you all kinds of amazing feelings to sort through. 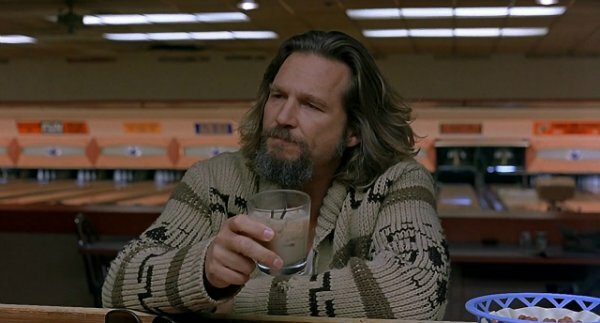 Directed by Ivan Zacharias, The White Russian could have easily been produced by a Jackie Treehorn looking to break free from the shackles of making movies like Logjammin’, but it’s instead just a clever advertisement to get you to buy Kahlúa’s tasty liqueur. It’s all just an extended metaphor for mixing things, but the inclusion of Jeff Bridges makes it so much cooler than it would have been otherwise. Proof of that mixing concept can be seen not only in the story told by Bridges’ character, but also in the way the short borrows ideas from other films. The briefcase MacGuffin evokes memories of Quentin Tarantino’s Pulp Fiction. The man on the run with ill-gotten gains could be any number of films, but the dry desert setting immediately makes me think of The Coen Brothers’ No Country for Old Men. The cosmonaut dropping in like a giant deus ex machina? That one left me stumped – but it works anyway. About the only other missed opportunity in The White Russian was a potential cameo from Sam Elliott’s The Stranger (it feels like he should have been sitting in that bar drinking a Sarsaparilla…). I think it’s safe to say that would have tied the whole film together. Ah well, this short film is still awesome beyond words. Here’s to hoping there’s a sequel.